As soon as the coughing and headaches appear, you want to know how long the symptoms of a respiratory infection will last. Respiratory infections are no fun, which is why our team at AFC Urgent Care Hixson wants to share some insight into what they are—and how to find relief! When a virus attacks your nose, throat and airways, you have an increased risk of suffering from an upper respiratory infection. Because these infections are very contagious, it’s important to make sure you wash your hands frequently throughout the day, as well as cover your nose and mouth when sneezing and coughing in order to avoid getting others sick. With a virus, sometimes the best thing you can do to help recover quicker is to get plenty of rest and drink lots of water to stay hydrated. In most cases, respiratory infections will go away within a few days or a week. But if you aren’t finding relief, there are other steps you can take. 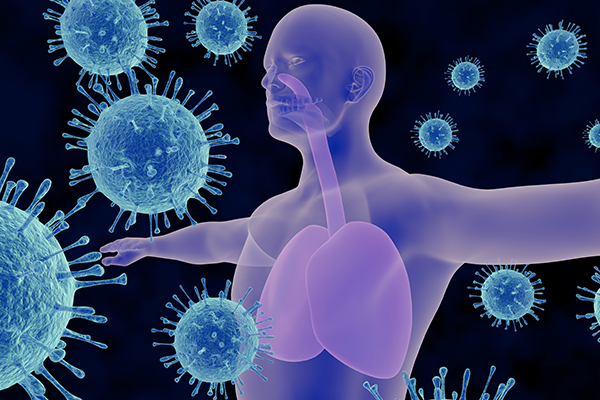 Do you think you might have a respiratory infection? Stop by AFC Urgent Care Hixson for a diagnosis and treatment plan!